Jan. 16, 2019 at 6 p.m. to Jan. 16, 2019 at 9 p.m.
“One guiding principle [of Question Bridge] is that quite a lot is revealed when you are asked to pose what, for you, is a meaningful question….a question reveals what you don't know, what you are willing to discover and also assumptions that may or may not be self-evident.” - Chris Johnson Join us for the opening night of R.A.P. 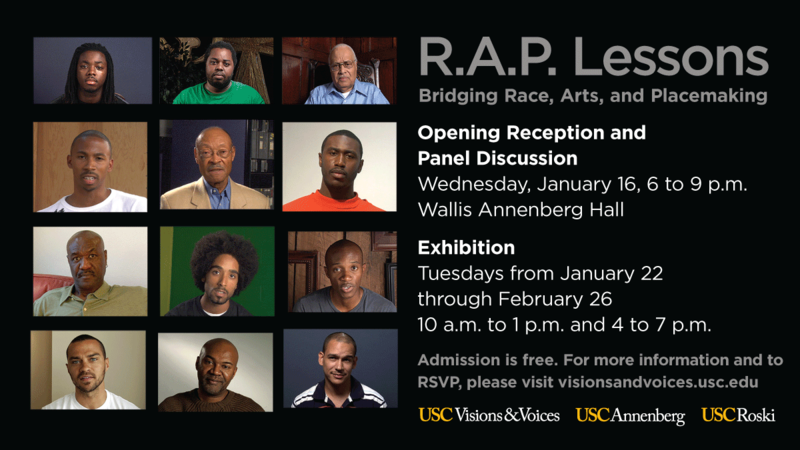 Lessons: Bridging Race, Arts, and Placemaking, a six-week video exhibition throughout the Wallis Annenberg Building at USC, with performative and curricular interventions between schools and with community partners. 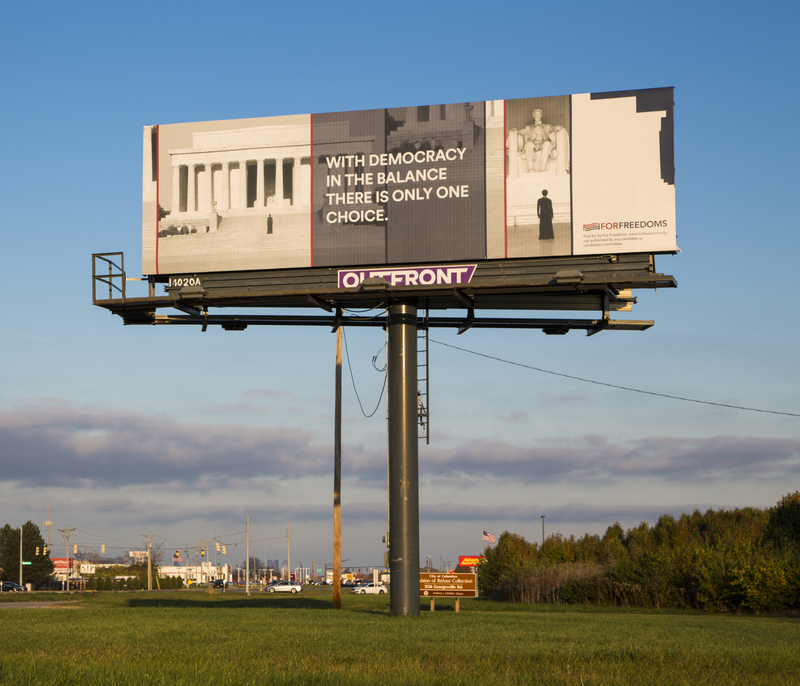 Artists Chris Johnson and Hank Willis Thomas will explore the links between art, pedagogy, and social change with Annenberg Associate Professor Taj Frazier. The exhibition is inspired by Question Bridge: Black Males, an innovative transmedia project that uses video to facilitate a conversation among Black men from diverse backgrounds. Question Bridge started in 1996 when artist Chris Johnson facilitated questions from one segment of the Black community, those who lived in the “hood,” to another segment, “well-off” Black people living outside of the “hood” through videotaped interviews. The project evolved in 2007 with the involvement of artists Hank Willis Thomas, Bayeté Ross Smith, and Kamal Sinclair to focus on Black males specifically. Question Bridge: Black Males has been internationally exhibited and a high school curriculum is being piloted in multiple school districts across the country. Question Bridge will be reinvented for the USC community through R.A.P. Lessons: Bridging Race, Arts, and Placemaking—a multi-site exhibition, conversation, and curriculum that creates a platform for community partners and faculty/students to create their own “Question Bridge” as live or social media engagements, exploring issues of race and identity. For instance, students in classes in Roski and Annenberg Schools will produce their own Question Bridges, under the direction of Johnson, and present these in an exhibition during USC’s Diversity Week, January 14-18. Satellite partnerships will be invited through the on-going community work of RAP (Race, Art, and Placemaking) faculty. As one satellite partnership, youth from nearby Green Dot Schools will create their own responses to Question Bridge. The event will also be livestreamed on Facebook.